Shape skis. Twin tips. Nordic. Snowboard. Powder skis. Monoboard. It doesn’t matter what you strap to your feet, when there’s fresh snow in Steamboat, you head to your favorite ski run (after strapping on your helmet, of course). Steamboat is known for producing more winter Olympians than any other town in North America, something the Steamboat Springs Winter Sports Club (SSWSC) has had a hand in – they’ve trained 95 Olympians, with 165 Winter Olympic appearances in 20 Winter Games representing 12 countries. 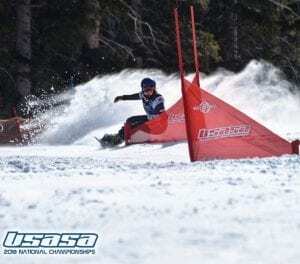 As the official medical provider for SSWSC, UCHealth asked the next generation of skiers and snowboarders for some insight on the best runs in and around Steamboat. They should know – most of them have been skiing or snowboarding since they were able to walk. Cael McCarthy – from age 4 to flying high out of the half pipe. Photos courtesy of Cael McCarthy. Favorite ski run: I really like Mavericks Terrain Park at Steamboat Resort where I can feel the exhilaration as I spin through the air when I go off the jumps or total satisfaction when I complete a rail. On a powder day, you will find me flying off rocks on East Face. Photo courtesy of Emi Cooper. Favorite ski run: Vagabond at Steamboat Resort. I like it so much because of how long it is and all the terrain on the run. 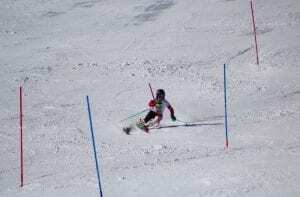 One of my favorite feelings is ripping open GS turns down the entire run. At age, 3, Bennett Gamber had his skis securely under him. Fast forward a few years, and his Nordic combined training took him to Eisnerz, Austria. Photos courtesy of Bennett Gamber. Favorite ski runs: For downhill skiing at Steamboat Resort, I like Nelson’s because it is diverse. It usually has great snow on it and there’s fun little cliffs to ski off. The trees off to the left of White Out aren’t usually skied much, so you’ll find great snow there. East Face is a long run and always gets more and better snow than the rest of the mountain. Cross country skiing at the Howelsen Meadows give you lots of time and distance as the trail winds around on a light slope. Coombs Corner on Howelsen Hill has fun downhills that seem especially fast on cross country skis. Photo courtesy of Waverly Gebhardt. Favorite ski run: Bruce’s Trail on Rabbit Ears Pass. It’s always the first to open, has awesome terrain and gives me the earliest opportunity to ski. For me, that’s the most important thing – there’s nothing better than skiing on snow in October. It’s smaller than other ski trails, but that doesn’t matter in comparison to the early snow skiing. 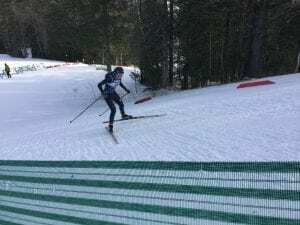 Landon Wendler competes in moguls. Photos courtesy of Landon Wendler. Favorite ski run: Voodoo at Steamboat Resort. It’s a great moguls course. I also really enjoy skiing on Nelson’s and White Out because of the moguls and cat tracks. The amount of rocks and cliffs are really fun to jump off on a powder day. I always enjoy the days I get to ski these runs with my friends and have a good time. Photo courtesy of Maggie Carrigan. Favorite ski run: Hot Cakes at Steamboat Resort. It’s always great on a powder day and it was my first powder/tree run when I was little. My favorite run to train gates on is All Out because it is always “hero snow” – the best snow where you can lay out a full carve. The pitch is fun and fast!